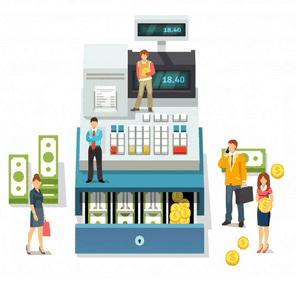 Talech is a POS system equipped with advanced inventory features, the ability to integrate with most payment processors, and in-house marketing capabilities. Though not error-free, talech is still on par with its top-ranking competitors, which establishes it as a solid contender on the POS market. It is fully cloud-based with a simple and intuitive design, decent integrations and a good reporting suite. What’s special about it, however, is how fast the system evolves. New software versions are released every few months, frequently more often. At present, the system runs on more than 10,000 devices. A lot of this system’s users are impressed by how easy the system is to use and navigate. In addition, the majority of comments referring to customer service is positive. The price is very affordable – indeed, it is one of the main reasons people switch to talech – and you aren’t locked into a contract. 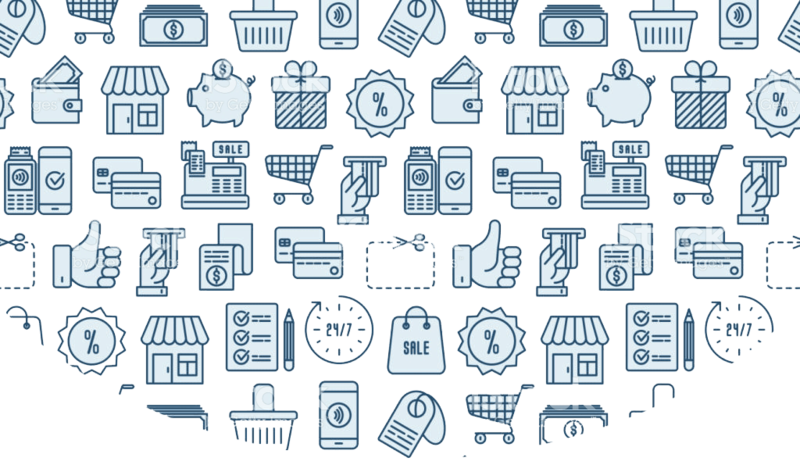 Many integrations with e-commerce and third-party accounting programs are possible. On the downside, the system is not that suitable for restaurants according to some users. In terms of reporting, there is room for improvement. 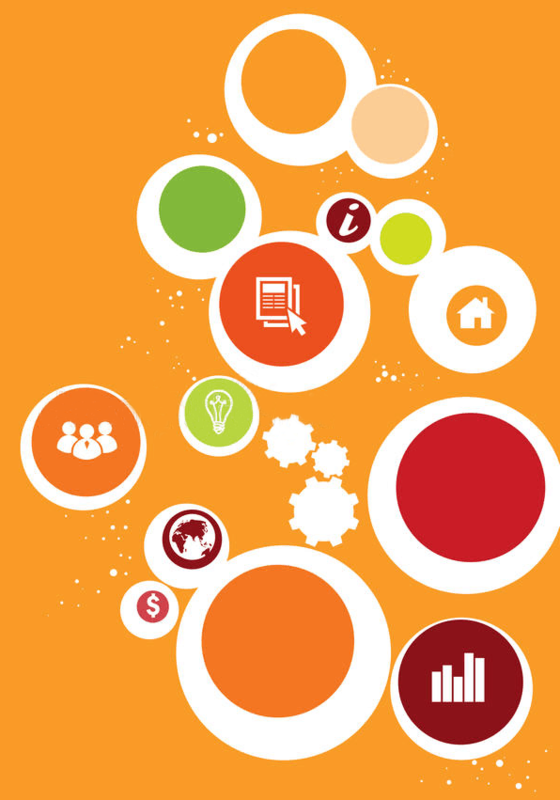 Larger and more complex businesses find this aspect to be rather challenging. In some cases, you would need a third-party reporting program depending on your business needs. Talech has some great hardware capacities, such as being able to integrate a weight scale, but it can only run on an iPad. 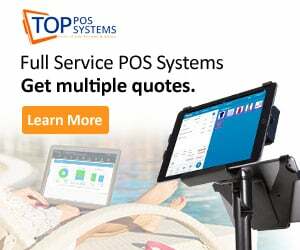 Ideally, a POS system should be capable of running on any platform. Cloud-based software doesn’t run optimally in the event of an Internet outage, but some POS vendors have managed to work around internet outages and keep the system going seamlessly offline. This isn’t the case with talech yet. As mentioned, talech’s prices are quite competitive, especially considering the level of functionality this system has to offer. There are two payment plans, and you can schedule a 30-minute demo before choosing between them. The first is the Standard, $69/month ($62/month billed annually). The features are adequate for simple establishments, but they can handle more than one outlet. Each additional device costs $39/month. The Premium plan costs $99/month ($89/month billed annually) and offers advanced inventory management, a table layout, purchase order generation, automatic discounts and more. Each additional device costs $49/month ($44/month billed annually). The company also offers an Enterprise plan for franchise-level businesses. You need to contact the company directly to get a quote. Talech is a relatively scalable system. It can serve both small single-location businesses and franchises well. At present, even merchants who are bringing in millions a year use it. As for the business type, talech’s Standard version is best suited for gift and thrift shops, cafes, small restaurants and food trucks, clothes shops and bookstores. The Premium version is better for bars and full-service restaurants as well as more complex retail businesses. The system is not suitable for very busy bars and similar entertainment venues. Talech is fully cloud-based, which means your data is stored on external servers. These servers communicate via the cloud with your device and require an Internet connection. This means you can only accept cash transactions in the event of an outage. Your back office won’t be accessible either. Of course, you can buy a specialized router or iPads with data plans as a backup option. Talech operates on most iPad models, including iPad Air and Air 2, iPad 3 and 4, iPad Pro, and iPad Mini 2, 3, and 4. In terms of network requirements, you need a download speed greater than 3 Mbps and an upload speed of at least 1.5 Mbps. Talech sells most of its hardware options in bundles geared toward certain business types in an effort to make peripheral shopping as simple as possible. For example, the Mobile & Outdoor Events bundle comes with a Bluetooth printer and headphone jack magstripe swipe. Conversely, the yoghurt / grocery shop bundle comes with a chip reader, an iPad stand, a cash drawer, a receipt printer, and weight scale. Even though you don’t need to source your hardware directly from talech, you will still have to ensure that whatever equipment you end up purchasing can be integrated with the software. We recommend looking at talech’s hardware page to make sure you’re getting the correct model numbers. This POS is designed to be easy to setup and use, in line with the DIY model of the 21st century. Talech has recently carried out several updates to make their system more intuitive. The average user can set up essential functions with little to no help from technical support or how-to articles. You can watch support videos to get an idea of how the different system parts work, but generally, basic functions such as hot key and product creation, register layout, and employee and customer profile creation are pretty easy to configure. On the other hand, advanced functions may require more assistance. This is to be expected when you’re generating and tracking email campaigns, creating product bundles, and customizing automatic discounts. All things considered, it’s still pretty easy to use. You can open your cash drawer with a starting till count and track cash drops, voids, payouts, and pay-ins the entire day. 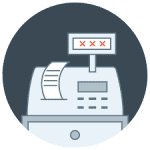 You can choose payout type – tips, inventory, or another cost with the option to add a note at the bottom. All actions are tracked by employee and time. Aside from some basic functions, talech lets you issue cash back on overpayments, capture customer signatures, split or make partial payments, and designate tips on your device. You can also create dollar amount and percentage discounts and assign them as hotkeys for easy access. What is more, you have the ability to stack discounts, customize automatic discounts, and offer loyalty-based discounts to customer groups. You can import your customer list if you’re switching to talech from another system, but you’ll need to send your list to the company so they can import it on their end. You can monitor past orders, track store credit by customer and view customer metrics such as the number of days since the last visit, the number of visits, average and total spent and more with these records. What is even more impressive is that you can generate email campaigns for your entire database or specific client groups. The system can track how many clients have availed themselves of the offers in your emails so you know how effective they are. talech can not only generate purchase orders, but also offer advanced features to make the process simple. 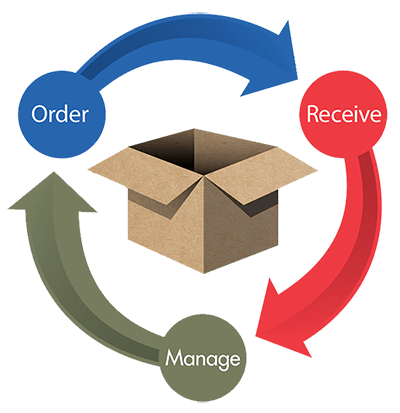 It’s easy to pull up a list of products from a particular vendor for a comprehensive list of what needs to be added to your purchase order after you’ve created your supplier list and designated which products are from each supplier. You can set a low count alert, and even set up purchase orders to be generated automatically when stock quantities hit a certain level. Inventory is certainly one of talech’s biggest strengths, with the ability to create multi-level variations, batch-edit products, generate product barcodes on a PDF that can be printed from any device and set fixed or variable prices. You won’t have to invest in an expensive barcode printer. You can also configure applied, inclusive, and flat rate taxes on a per-item or per-category basis and track product history and performance with the inventory log. Talech enables users to create complex products like bundles. This makes it possible to combine certain items and sell them as one unit, while still tracking the raw materials that make up the set. The system was recently upgraded to include the ability to sync products, discounts, and categories across multiple locations. Talech offers the ability to integrate an online ordering system. Restaurant owners can create their own branded website, manage their online orders in their current POS system to avoid confusion, integrate with their current payment processor to allow for online payments, keep track of customers’ online ordering data (for reporting purposes), and keep their customers up to date on the status of their order by enabling email notifications to be sent out. If your venue is particularly busy, you can just pause online ordering directly from the talech register. This feature costs an extra $49 per month. You can track employee sales and actions and transfer orders between employees for accurate sales data aside from tracking employee roles and observing the time clock. There are customizable access controls. Talech recently added unique employee ID numbers so employees’ actions and sales can be tracked. Another new feature is the option to adapt manager swipe cards to the system. With these cards, only managers will be able to void orders and complete other administrative actions. The reporting suite may not be the most extensive out there, but talech does have a pretty decent selection. You can view the inventory log that breaks down your product information, track all your top performing products and employees, and view customer data that shows when someone was last in your establishment, how often they come, and how much they spend on average. The system’s advanced restaurant features only come with the Premium version of the software. These include splitting and merging orders, table layout, assigning table positions to items, automatic gratuity, coursing (set dishes to be made and served in courses), and the ability to split check by seat. You can pre-authorize credit cards as well, which is useful when setting up a tab. Talech has also opened their applied program interface (API) to certain developers. They aim to ensure quality integration and partnership, which is why they’re not offering API access to just anyone. You can contact them about it if you’d like to build an integration. As noted earlier, most people are happy with talech’s tech support. The company reports an average customer satisfaction rating of at least 85%, with up to 95% of calls answered within 30 seconds and over three-quarters of issues resolved within the first phone call. Customer service and tech support are available 24 hours a day, 7 days a week. Wait times are rarely long if you call. 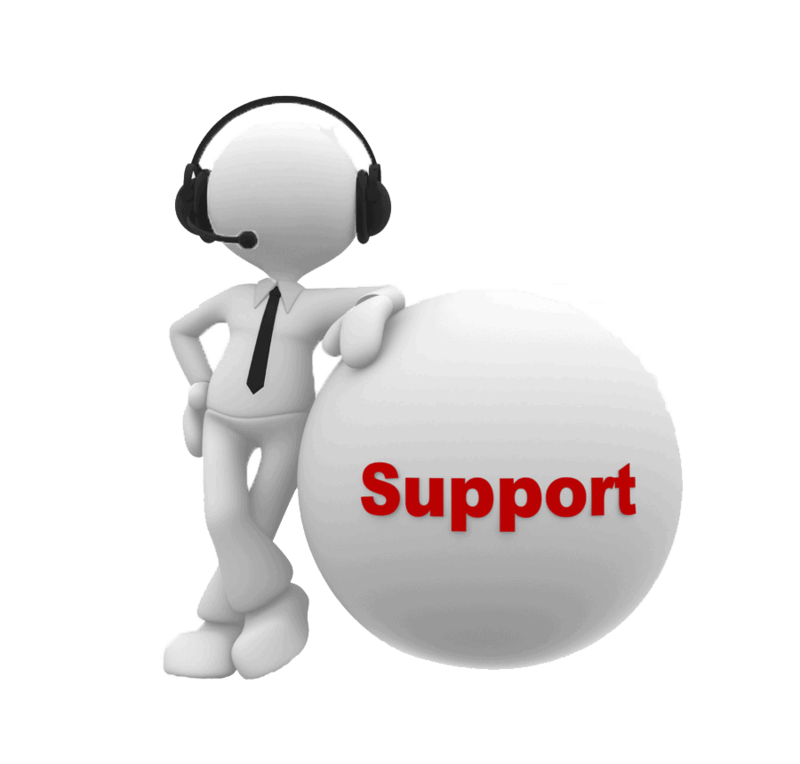 Email support is also available 24/7, but if you have a pressing issue, you’d be better off calling in. You can do some troubleshooting yourself with the searchable database of help articles if you don’t feel like contacting support. There are also some training videos covering the basic functions. If you need help installing the system or are just looking for a little bit of extra help getting started, you can use BoomTown’s professional on-site services for an extra charge. Talech has partnered with several payment processors and banks to make it possible for you to choose virtually any merchant services provider you would like to work with. 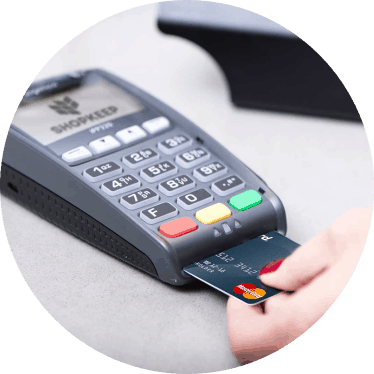 The list is long, but they specify Elavon and Global Payments as EMV-compliant processors, with whom they integrate well. Talech offers an impressive array of features at a very good price and is constantly upgrading its service options. The company aims to achieve a greater level of functionality and usability, bolstered by the recent addition of the capability to create bundled items and the release of an integrated online ordering system for restaurant users in January this year.